Guitar manufacturer, Gibson, has filed for bankruptcy after struggling with debt for years. A reorganization plan that was pre-negotiated will allow the guitar maker to continue operations as it receives financing amounting to approximately $135 million from lenders. “The Gibson name is synonymous with quality and today’s actions will allow future generations to experience the unrivaled sound, design and craftsmanship that our employees put into each Gibson product,” said the chief executive officer of Gibson, Henry Juszkiewicz, in a statement. Ownership of the guitar firm will now be transferred to noteholders from stockholders who include Henry Juszkiewicz, the leader of Gibsons for over three decades. Per court filings the noteholders include Melody Capital Partners, Silver Point Capital as well as funds that are associated with private equity firm KKR Credit Advisors. 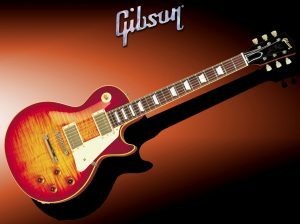 Currently Gibson has $500 million in debt and the restructuring plan will see the instrument business separated from the consumer electronics unit which has been blamed for the financial woes of the guitar maker. Per the agreement Juszkiewicz will serve the company even after emerging from bankruptcy in a consultancy role that will last for one year. Bondholders who are led by funds affiliated to KKR have been gunning for a restructuring plan which hand give them ownership of the company and thus the power to install a leader of their choice. According to previous reports the group had refused to inject more money into the guitar maker while Juszkiewicz was still the chief executive officer. Gibson was started in 1894 and on an annual basis sells more than 170,000 guitars across the globe. The guitars are manufactured in the United States in Gibson’s plants located in Bozeman, Montana and Memphis and Nashville, Tennessee. Additionally Gibson also sells turntables, headphones, studio monitors as well as other musical instruments. Per the court papers the music instruments business of Gibson employs more than 875 workers. According to court-appointed chief restructuring officer of the guitar maker, Brian Fox, the source of the company’s financial woes was Gibson Innovations, a unit which focused on selling audio products that include deejaying gear, headphones and speakers. The unit was acquired in mid-2014 at a price of $135 million via a leveraged transaction and it encountered declines in sales as a result of losing credit insurance overseas. The restructuring plan will see the business wound down. At the time of making the acquisition Gibson was planning to relaunch as a diversified music lifestyle firm.